From establishing loyalty to increasing productivity, there are so many benefits to incentive travel programs. So how do you decide where to go or what type of trip will be most exciting for your organization? For any golf enthusiasts, we’ve rounded up five of the top golf destinations for incentive travel below. Mountains-meet-desert-meets-tropics environment is truly an oasis for golfers. The landscape offers expansive cactus forest and rugged seaside cliffs, paired with a dry desert climate with little to no humidity. Enjoy fresh fish tacos while waiting to tee off and take in views of whales off-shore, the scenery here is simply stunning. The destination is a crowd-pleaser for those who don’t enjoy the links, there is plenty to experience and endless stretches of beautiful beaches. There are nine public courses in Cabo San Lucas, including the Cabo del Sol Ocean and Desert courses and the Quivira Golf Club, all ranked among the Top 100 Golf Courses in the World. Private courses include the number one ranked course in Mexico, Diamante Dunes and the new Tiger Woods-designed El Cardonal course. Numerous lodging opportunities available in the area, including many five-star options. Our favorites include Esperanza, the newly-constructed Montage Los Cabos, The Cape, or all-inclusive options like Hyatt Ziva. Hawaii is a bucket-list destination for many travelers and is one of the best motivational destinations out there. The Big Island is nicknamed the “Golf Capital of Hawaii” and offers an array of golf courses thanks to its geographic diversity. 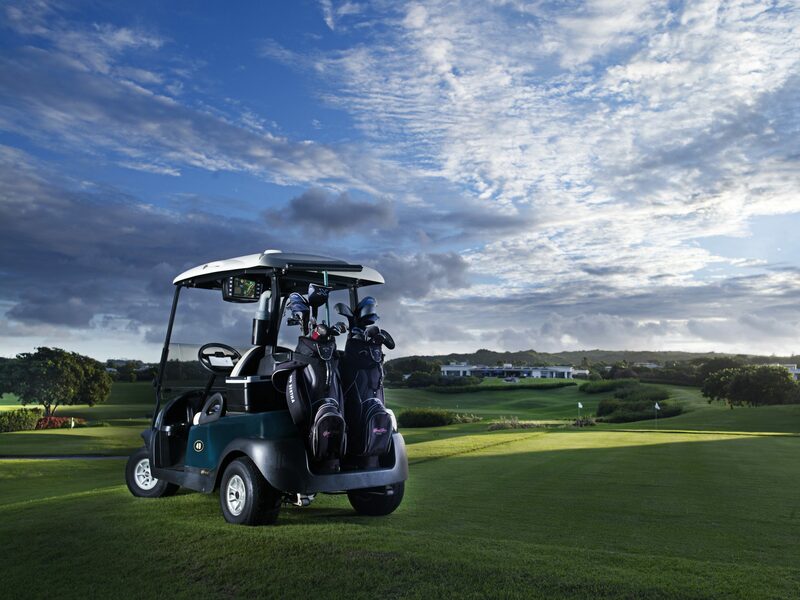 Most courses are located along the coast and feature stunning ocean views with black-lava lined fairways. The island offers an array of activities beyond golf, including the state’s only active volcano, and there are plenty of options for extensions to Maui, Oahu and more. The Kohala Coast, which holds most of the public courses, only gets a few inches of rain a year – the perfect climate for golf. The best courses include Mauna Kea Golf Course, designed by Robert Trent Jones, Senior, the South and North Courses at Mauna Lani Resort, and the Big Island Country Club, the only course on the island to offer bentgrass greens. There are many lodging options, including the luxurious Four Seasons Hualalai or the stately Fairmont Orchid. With more than two-hundred golf courses in the area and 300+ days of sunshine a year, Scottsdale is the perfect environment for golf lovers. Downtown Scottsdale has a flourishing nightlife, so you can bring the participants together for a fine dining experience or casual craft cocktails after a day on the course. Plus, Scottsdale is home to more resorts and world-class spas per capita in the country, leaving you with endless options when it comes time to stretch it out after a weekend of golf. Most public courses are highly ranked, championship courses. These include Troon North Golf Club, designed by Tom Weiskopf, the PGA-Tour level TPC Scottsdale and the Tom Fazio designed Grayhawk Golf Club. Scottsdale has many lodging options, from mid-level to five-star. Our favorites include the Fairmont Scottsdale Princess, Four Seasons Resort Scottsdale at Troon North, or the Omni Scottsdale at Montelucia. No one does “green” better than the Emerald Isle. With more than 300 courses in Northern Ireland and the Republic of Ireland, golf in Ireland has everything the serious connoisseur could desire. There are many ways to experience golf in Ireland, including the ultimate experience on Belmond’s luxurious Grand Hibernian train, which takes guests from Dublin to some of Ireland’s most desirable courses, all within a five-star luxury sleeper train. With a legacy that spans six centuries, there is no greater golf destination than the birthplace of the game, Scotland! There are more than 550 fantastic courses in Scotland, including links courses, parkland courses, heathland courses and everything in between. Scotland is home to the iconic and world-famous Old Course at St. Andrews, which is considered the oldest golf course in world. And beyond the most well-known courses, there are hidden gems like Prestwick, the site of the first Open Championship in 1860. Lodging can be limited for groups beyond Edinburgh, but we recommend the campus-style resort of Gleneagles in Perthshire for incentive groups. The world-famous King’s and Queen’s Courses at Gleneagles will satisfy golfers while a multitude of other on-site activities including falconry, equestrian and fly-fishing are available for other guests. At the end of the day, the entire group can enjoy the Johnnie Walker Blue Bar or a short stroll to the The Famous Glenturret Distillery. Click here contact Brownell Incentive Travel and start planning an incentive trip for your organization.